SANTA ROSA, Calif., October 31, 2011 — Thermal Technology recently received orders for a 10-ton, 4,000 amp Spark Plasma Sintering (SPS) system and a high temperature laboratory furnace from the Institute for Superconducting and Electronic Materials (ISEM) at the University of Wollongong in Australia. The machines will be integral to ISEM’s interdisciplinary research programs on superconductors and electronic and energy materials science and technology, including energy storage, transmission, efficiency, and conservation. Sima Aminorroaya, Ph.D., a researcher in ISEM’s Energy Storage Group, indicated that much thought went into their equipment selection. “We were looking for a technologically sound design, a machine that offered high repeatability and was backed by savvy engineers who understood our applications. Thermal Technology stood out,” says Aminorroaya. Thermal Technology’s SPS systems are designed with highly rigid four post press frames, an extra large working chamber and large access doors. The flexible footprint accommodates users’ spatial limitations while the advanced power supply provides unequaled adjustability and heat rates greater than 1500°C per minute. Digital servo valve controlled hydraulics insure ultra-fine force control, while programming and data acquisition are accomplished using an on or off-line PC system. 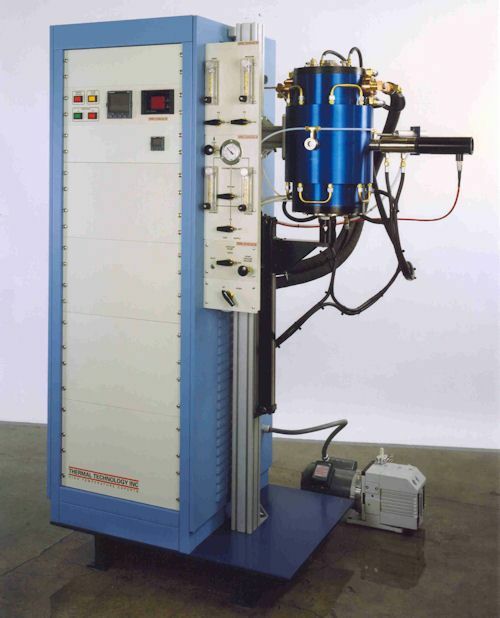 The high temperature laboratory furnace, as specified by Xun (Joe) Xu, Australian Research Council (ARC) Postdoctoral Fellow (APDI) at ISEM, is Thermal Technology’s Model 1000-2560-FP20. Its graphite hot zone reaches 2900°C; it is designed to operate in inert gas or rough vacuum and has an optional muffle tube assembly for oxidizing atmospheres. Thermal Technology designs and manufactures crystal growing systems, hot presses and high temperature vacuum and controlled atmosphere laboratory and production furnaces for the advanced processing of metals, ceramics, glass, quartz and crystal growing applications. Thermal Technology has over 60 years of experience and more than 3000 installations in 40 countries. 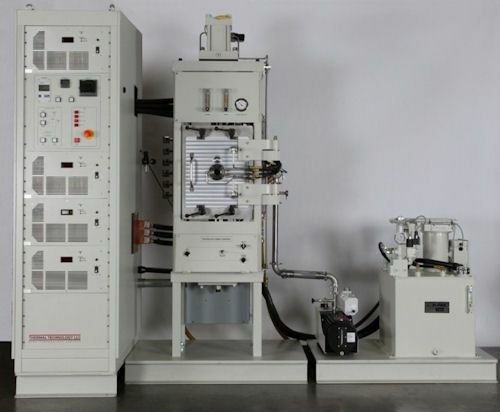 At Thermal Technology we recently shipped our first DCS(Direct Current Sintering) Unit out of our Santa Rosa facility. Click the link below to learn more about the DCS system and how it works! At Thermal Technology, we recently made the decision to go back to operating under the name Thermal Technology LLC, highlighting our historical customer driven business. Click the link below in order to read the formal announcement.